Are you afraid of the thought of having Acupuncture? Well, we are help to squash any fears or concerns! Our office helps people connect with experts who provide these services. Well, it is a traditional Eastern medicine treatment that is a healthcare tradition originating in China that dates back 4000 years, yet remains effective today as a means of strengthening the body rather than merely treating symptoms. Chinese medicine primarily focuses on building the body’s own vital energy (Chi) so the body can heal itself. Impressive right? Traditional Chinese medicine in its simpliest form is based on the philosophy of balance. This stems from the yin and yang energies. When we are out of balance, have an illnesses or even have a disease, our body isn’t speaking to it self properly. 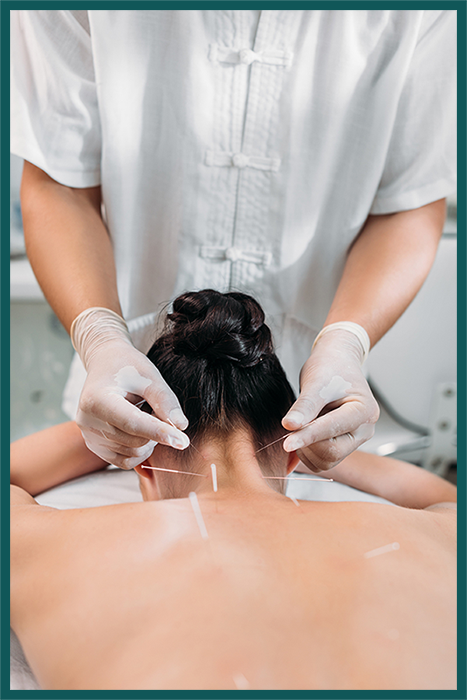 Living a balanced life consists of a harmony and BALANCE of lots of components such as, diet, exercise, massage, and herbal food therapy, With these elements working in balance you are reaping the benefits of the acupuncture and herbal medicine. If you want to try Acupuncture, one of our team members will be happy to help you find the perfect solution for you.